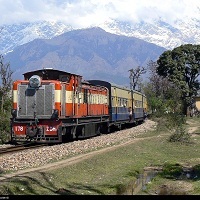 Go My Journey Pvt Ltd is a reliable Tour & Travel Agent in New Delhi offering customized Rail Ticketing Services. We are instrumental in assisting you with cheap rail tickets. Whether you want an instant rail ticket or an advanced rail ticket, we have services for all. Rail Ticketing Services offered by us are for any number of people including small families, big families or groups. Our Rail Ticketing Services are prompt and cost-effective providing 100 percent confirmation on every ticket. Avail Our Rail Ticketing Services and get the best benefits.